As a new and unpredicted move, the media has discussed the possibility that UBS could relocate to outside of Switzerland. 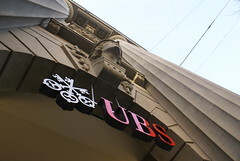 Allegations have surfaced that during a speech given at a closed-door Zurich Business Club event on November 26th, Oswald Gruebel, Chief Executive of UBS, told an audience of prominent business figures that if the Swiss government creates too many new regulatory demands on major banks, UBS could relocate its headquarters to a more favorable jurisdiction. The chief reason behind such a move is the concern that the Swiss Government could force major banks to be reorganized as holding companies. Such concerns arise as a result of continued discussions within the Swiss Government centering on providing an extra layer of protection for the national financial sector. Requiring major Swiss banks to operate their overseas subsidiaries as non-Swiss entities, while being controlled by central Swiss holding company, could potentially be a solution. Should the need for a financial bail-out arise, Swiss authorities would only be required to invest what is needed to keep the national company afloat, allowing the foreign subsidiaries to fall. While this arrangement would lessen the financial burden on the Swiss government, major banks, like UBS, would be obliged to inject capital into its subsidiary. UBS currently operates subsidiaries in 50 countries and 85% of its staff are employed outside of Switzerland. According to Oswald Gruebel, with such a global structure as UBS the newly added expenses will force the bank to transfer its headquarters away from Switzerland. UBS (UBSN.VX) is one of Switzerland’s largest banks with principal offices in Zurich and Basel. In 2008 Swiss Government invested CHF 6 billion to bailout UBS during financial crisis.